As we go through the days of warm spring weather and blue skies, it's time to plan a visit to a brewery and enjoy the beautiful weather with some beer and in the company of other beer and outdoor lovers. We have chosen a popular neighborhood brewery located in Northeast DC to spend an early spring afternoon and enjoy the beautiful warm weather. 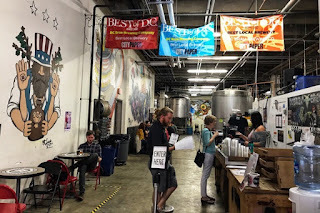 DC Brau is a popular neighborhood brewery located in Northeast DC in a warehouse space which spans more than 48,500 square-feet, off of Bladensburg Road. The brewery opened its doors in 2009 and since then has crafted award-winning beer utilizing a delicious and uniquely American blend of North American and European techniques and ingredients. DC Brau's inaugural beer was 'The Public', an American pale ale style beer. The brewery has also released a Belgian-style pale ale called 'The Citizen', an India Pale Ale style called 'The Corruption', and a pilsner called 'Brau Pils', as well as many limited releases. DC Brau is known to have supported a bill before the D.C. City Council that would allow on-site beer tasting at breweries within the city's limits. The law previously only allowed on-site tastings at grocery stores and retailers that do not manufacture beer at the same location. 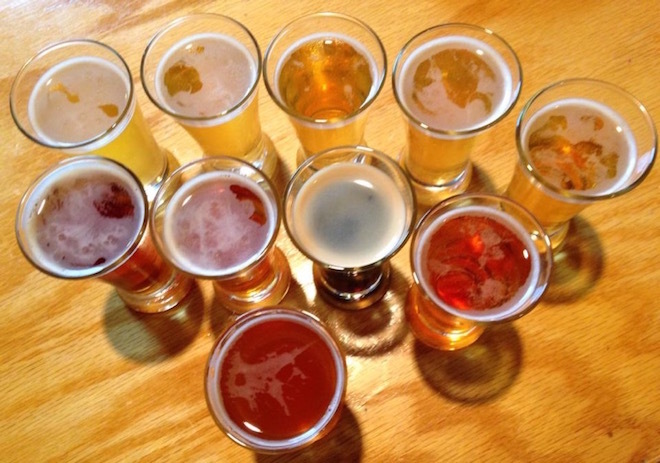 DC Brau now offers tastings, pints, and growler fills, as well as free brewery tours. If you are planning to participate in the brewery tour, for your personal safety, the brewery requires visitors to wear closed-toe shoes (i.e. boots or sneakers, no flip flops or sandals). A government-issued photo ID is required to purchase a drink. While there are visiting food trucks in the lot on Saturdays, you can bring your own food to the brewery, to enjoy along with beer. Do you know the difference between Nitro vs CO2 beer and how it affects the flavor ? Description: An early spring afternoon at a popular neighborhood brewery located in Northeast DC.